Professional Vinyl Record Cleaner. Advanced cleaning Gel. Winyl RC is a Gel cleaner for vinyl records developed by a dedicated group of Chemists and Record Collectors. It creates a film on top of your records getting to the deepest grooves trapping and extracting stubborn dirt. Then is easily removed like a facemask once dry. It is as effective as a vacuum machine but at a lower cost. Each jar comes supplied with a pair of syringes for applying the gel to Singles and LPs. 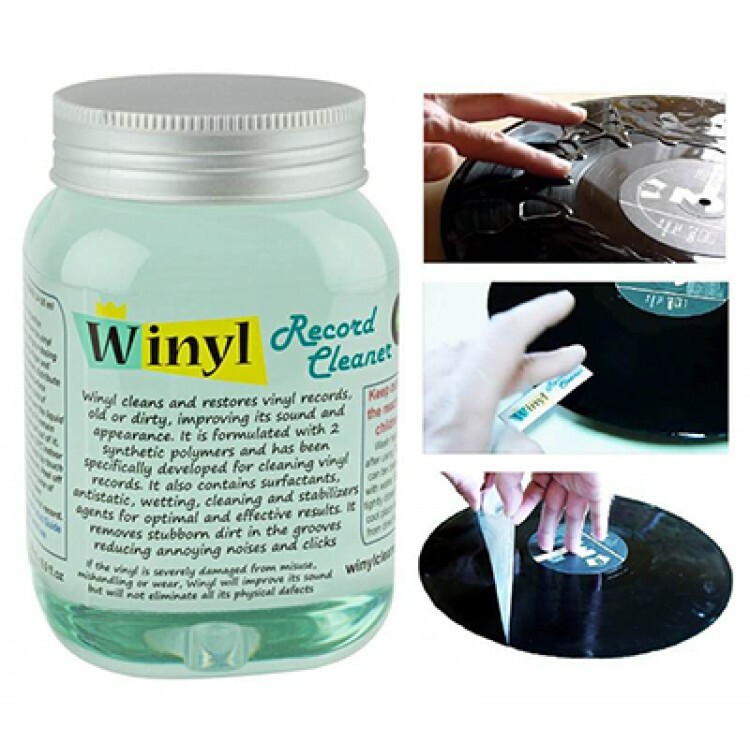 Apply the gel and press slightly to let Winyl penetrate into the vinyl grooves. Let it dry, the gel will become a film covering the record surface. Extract the film, dirt will be removed with it. It is as effective as a vacuum machine but with a lower cost. 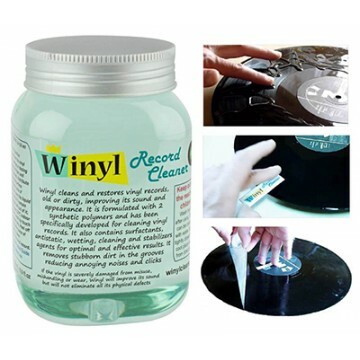 Each vinyl record needs a different cleaning solution depending on the type of dirt and the user requirements. Winyl Gel extracts the stubborn dirt, it does not move it. Also, its cleaning system does not produce any friction or wear on the vinyl surface. 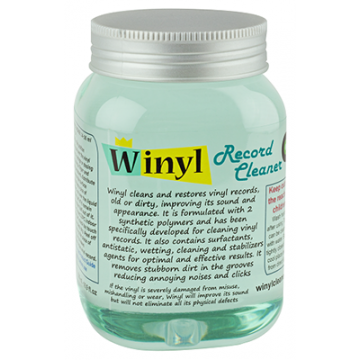 Winyl removes the dirt and dust that causes unexpected noises, clicks and pops. It takes away the troublesome static electricity accumulated on the surface. The film cleans the most difficult areas such as the groove sides, improving the low and high frequencies. The final result is a clear and faithful reproduction and a fine listening experience in High Fidelity. Winyl Gel is composed of 2 synthetic polymers, non-ionic surfactants, antistatic agents, wetting agents, cleaners, conserving agents and more to obtain the best results. All its components have been designed and tested so as not to change the vinyl surface. Winyl can be used on the same disc over and over without damage.